Losing weight along with stomach fats? Most of the people will say eating less is the ultimate answer. However, Ayurveda thesis, says eating the right things in your constituent can make to get ridge of these problems. Eating right foods can speed up metabolism rather than slowing. From the ancient Indian tradition, we can take advantage of its benefits to lose weight. The Ayurvedic translates as “life of science” And it is based on the traditional medicine of conceiving health as a philosophy of life of balance. This balance must be given between the body, the mind and the spirit. For this, the Ayurveda Diet mixes food with massages, medicinal plants and meditation is advice. Everything is valid to reach a healthy life! What are the elements in Ayurveda? According to Vedas, especially Ayurveda, there are “five great elements” so called “pancha mahabhuta” bhumi (earth), jala (water), agni (fire), pavan (air or wind) and shunya (space or zero). In a same way, Ayurvedic diet uses the five elements as theoretical foundations. Therefore, each person has an element or “dosha” predominant in it. The Ayurvedic diet classifies the person by his dosha and according to the case, a personalized regime is designed. What is body type in Ayurveda? On the other hand it is also necessary to know the type of body of each person, since on the basis of this food is also recommended. Even according to this dosha food should be cooked in different ways. According to the ayurvedic diet there are three types of body plus their combination. In them the element of fire predominates. They usually have a medium constitution, with a tendency to get angry very easily. They are pale or reddish and freckled skin. They feel an aversion to the sun. Your hair can be blond, light brown or reddish. Their constitution is thin, they perform activities quickly, and they are enthusiastic and have great imagination, character and changing energy. In them the air element predominates. The elements that predominate in them are the air and the earth. His constitution is strong with tendency to obesity, has firm energy, calm and relaxed personality. What should eat each dosha? Pitta people : For Pitta people cold foods are recommended, with few special and sweet tastes; with something bitter and astringent. The foods that the Ayurvedic diet recommends to pitta people are asparagus, broccoli, cabbage, leafy vegetables, zucchini, apple, pear, chickpeas and olive, sunflower and soybean oils. Vata people : For vata people, the diet recommends that meals be nutritious, cooked, tempered, moist, and lightly seasoned. Foods for these people range from dairy products, chicken and turkey meat, fish and fruits such as oranges, bananas or apricots. Kapha people : The diet recommends kapha people to eat dry, light, warm, spicy, bitter and astringent foods. The meals should be predominantly vegetables such as eggplant, lettuce, broccoli, potatoes, lentils and ginger. Kapha should avoid salt and dairy products. The Ayurvedic diet does not restrict too much food; only recommends the predominant consumption according to the body types of each person. 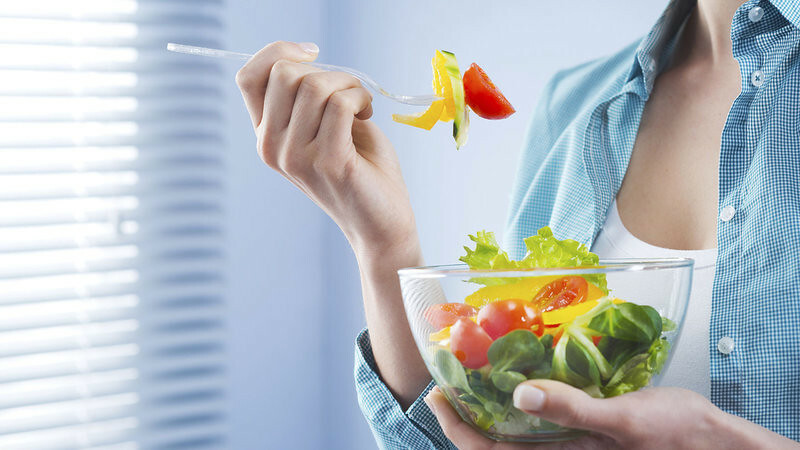 This diet gives importance to routine and to consume food always at set times. It also works according to the season of the year. For example, in autumn it is advisable that we lean towards the vata diet; during winter in the kapha and at the end of spring, the pitta is advised. Best of all, according to the dosha you can also find that they recommend different types of yoga and meditation positions. Consult with your nutritionist so that soon they begin to put in tune your mind and your body. Like all ancestral medicine, Ayurveda provides a guide to maintain a healthy lifestyle without the need for chemicals, processed foods or extreme diets. Maintaining a healthy lifestyle is an in important aspect, without the need for chemicals, processed foods or extreme diets. It is important to consider a diet and mediation not only helps to lose weight, but also strengthens all the systems of our body. Below are some for the ayurvedic rules if followed can lead you to healthy life. 1. Drink a glass of warm water with lemon on an empty stomach. Drinking glass of warm water strengthens the digestive system, providing the sensation of starting a good day. 2. Exercise enough to sweat a little every morning. The ideal is 45 to 60 minutes, but with 30 minutes is enough. Find an activity that you can do for the rest of your life. 3. Find ten minutes of peace and relaxation each morning. A yoga or meditation can facilitate the mind-body connection, reducing the stress reaction -and therefore, weight gain- and giving us the ability to make decisions. 4. Eat three meals a day, without snacks. Have a light breakfast between 7:30 and 9:00; a heavy lunch, between 11h00 and 14h00; and a very light dinner between 17h30 and 20h00. 5. Eat the foods of each season and, preferably, of the region. In summer, for example, there are more fruits with high carbohydrates and fresh vegetables to keep us energetic; in winter, there are more tubers, seeds, fruits, cheeses and heavy meats, to protect us from the cold. The more local and organic foods we can eat, our bodies can digest them naturally and assimilate the nutrients. 5. Daily experience all six flavors. sweet, sour, salty, spicy, bitter and astringent. The sweet, sour and salty are anabolic; the spicy, bitter and astringent are catabolic. The balance of both creates a balance. Too much of any of them can cause a weight gain. 6. Move a little after each meal. Taking a short walk after each meal stimulates digestion and peristalsis. Preferably between 10 and 20 minutes at a moderate pace is helpful. If possible, rest on your right side after a 10-minute walk. 7. Go to bed with the sun and wake up with the sun. This stimulates the circadian rhythm, which is responsible for regulating our digestive and immune systems; therefore to help us maintain an ideal weight according to our structure. Just watch the screens of the technological gadgets during the night. Person’s metabolism is inherent and influenced by lifestyle, diet, and exercise habits, so for significant and permanent weight loss. You need to lead a healthy lifestyle.